The government is planning to develop “maritime clusters.” What will that look like? The maritime industry (including maritime services, shipbuilding, and operational logistics) forms the engine of maritime transport, which is a vital element of a growing economy like India. SAGAR (Security and Growth for All in the Region) and Sagarmala introduced in 2015, are the two principal policies aimed toward boosting the domestic maritime industry while simultaneously engaging in maritime outreach with the littorals of the Indian Ocean Region. As part of its continuing emphasis on the development of ports and associated maritime infrastructure under its Sagarmala initiative, the Modi government announced in 2016 that maritime clusters would be the next focal points for the economic development of the country’s coastline. One of four pillars of the Sagarmala initiative is port-led coastal community development. Skill development and the improvement in quality of life through advances in technology and physical and social infrastructure; capacity building, infrastructure, and social development to add values to fisheries; and the promotion of coastal tourism form the main objectives under this pillar. To that end, the Ministry of Shipping has allocated 1.1 billion Indian rupees ($15.8 million) toward the development of 23 coastal communities in Gujarat, Mumbai, Karnataka, Kerala, Tamil Nadu, and Goa. The proposed maritime clusters are therefore linked to the larger objective of port-led development and industrialization under Sagarmala and would be part of Coastal Economic Zones (CEZs). Maritime clusters, also known as regional clusters, business clusters, or industry clusters, are geographical concentrations of inter-related businesses and associated services. In other words, clusters are a network of interconnected systems that foster innovation and attract technology, boost investments, promote public-private partnerships, and generate employment. While the maritime clusters are a new initiative for India, the country has several industrial clusters that have been functioning for years, and maritime clusters are a common practice among developed maritime countries. Maritime tourism, shipbuilding and ancillary services, maritime services, and marine products are the key components of maritime clusters. These clusters also include a supporting network of companies that provide services such as research, financing, and technological assistance. Maritime clusters are important for the establishment of sustainable ocean development and are therefore a vital component of Blue Growth or Blue Economy. While facilitating competitiveness, productivity, innovation, and efficiency in the course of reaping economic benefits, maritime clusters also keep the environmental impact in check. To begin with, two such maritime clusters are proposed for Gujarat and Tamil Nadu. A third cluster has also been proposed at Goa. All the locations identified are in close proximity to shipyards, major ports, steel clusters, automotive and engineering industries, and ancillary clusters along with universities and colleges. They would therefore in turn be able to attract more businesses and enhance the commercial engagements of the clusters. The report also encourages the setting up of aquariums, water parks, marine museums, cruise tourism, and water sports near the clusters, with a view to boosting maritime tourism. Work will commence on the first of the two clusters at Gujarat International Finance Tec-City (GIFT City) in Gandhinagar, Gujarat. Gujarat handles more cargo than any other Indian state, although it is yet to develop a substantial maritime identity. The cluster is expected to be set up in four phases and would connect with the Delhi Freight Corridor and Delhi Mumbai Industrial Corridor. Once operational, the cluster would provide all-inclusive services for the maritime industry in the state. The cluster at GIFT City would be able to optimize the existing ecosystem by utilizing the shipyards at Pipavav, Dahej, and Hazira ports, the ship-breaking yard at Alang, supplies of steel from Hazira, the ancillaries industry at Bhavnagar, retail and leisure components and services units in Ahmedabad, together with existing fish landing centers as identified by the Gujarat Maritime Board. At Tamil Nadu, 100 acres of land owned by Kamarajar Port have been identified for the cluster. While the endeavor is still at a very nascent stage with limited information available as of now, primarily, the two maritime clusters are being developed to reduce logistics costs and streamline the flow of services. The clusters are also poised to benefit the Make in India initiative and spur local industries, which in turn would facilitate the attraction of investments. Needless to say, the maritime clusters are also expected to contribute to skill development and employment prospects. To deliver and sustain the potential of the maritime industry in India, the government has initiated a range of policies such as the modernization of existing infrastructure, granting infrastructure status to shipyards, augmenting port performance, supporting green energy, and developing information and technology necessary for the same. And, most importantly, programs are underway to train the skilled talent needed to sustain the operation of the structure. 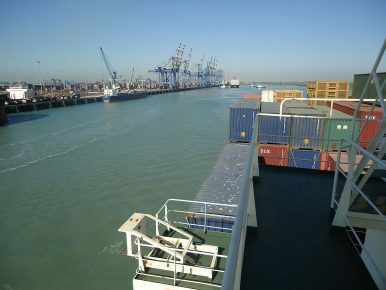 In this respect, the Major Port Authorities Bill introduced in 2016 marks a significant transformation by allowing greater autonomy to port boards in decision making and reforming port management. It will also be the first step toward transitioning to a “landlord port” model. The bill, however, remains pending amid opposition from labor unions. Globally, the maritime industry is a cyclical one, with booms and slumps that would impact the maritime clusters. The shipping industry in India is also weighed down by time lags between order and delivery, market volatility, regulatory complexities, and so on. For India, with a maritime sector that needs a great deal of overhaul, much would depend on the support of the government and the vital involvement of the private sector. Nevertheless, with the government already relaxing, revising, and introducing regulatory reforms that would ease the functioning of maritime industry and services, there is a lot of scope for the clusters to be productive enterprises. Some of the most successful maritime clusters in the world are located in Norway, Iceland, Singapore, and South Africa. Singapore is one of the best examples in the world today of the benefits of connecting, streamlining, digitizing, and leveraging available resources. Enhancing public-private partnership and collaborations with maritime clusters in other countries would be beneficial for India in developing the requisite technology and knowhow. On paper and in theory, the maritime clusters in India are poised to contribute to efforts aimed at a comprehensive revamping of the maritime industry in the country and the development of a vibrant and robust maritime sector. It is imperative that their implementation is followed through and sustainable mechanisms put in place for the clusters to thrive. Pratnashree Basu is an Associate Fellow at the Observer Research Foundation, Kolkata, working on maritime geopolitics and connectivity issues in India’s eastern and southeastern neighborhood. Political power is becoming increasingly decentralized in India, transforming the nation’s identity.